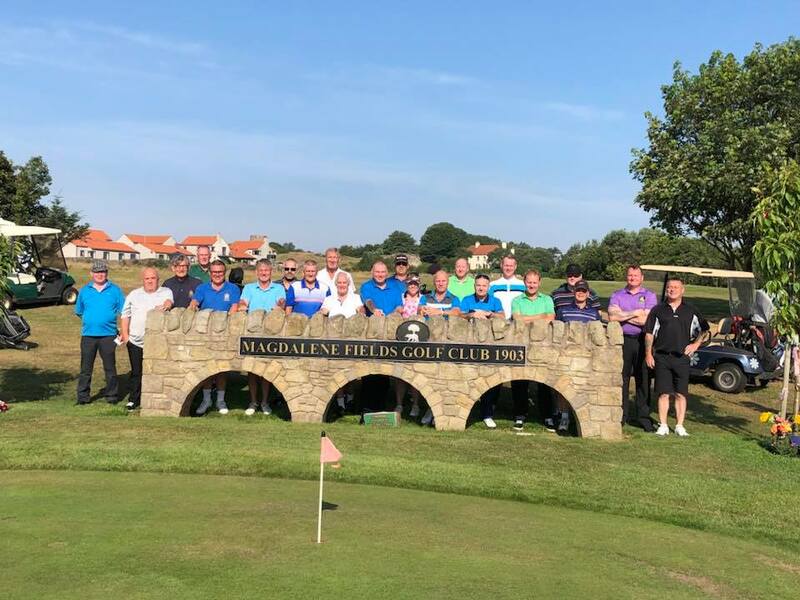 Wednesday 15th – Edinburgh Branch AGM – Scots Guards Club Edinburgh. Monday 17 September – Friday 21 September – Regimental Battlefield Tour to Ypres and “The 4 KOSB WW1 VCs”. Tuesday 25th – Piper Daniel Laidlaw VC commemoration service Norham. Friday 28th – Sgt Mcguffie VC commemoration paving stone unveiling, Wigtown. Saturday 6th – KOSB Association AGM, Scots Guards Club, Edinburgh. Thursday 11th October – London and Southern CountiesBranch General Meeting, TA Centre, 95 Horseferry Road, London SW1 at 6.00 pm. Thursday 8th – ROYAL REGIMENT OF SCOTLAND REGIMENTAL BOXING NIGHT – THE ORIAM SPORTS CENTRE EDINBURGH – Please be advised there is currently no ticket allocation to the KOSB Association. A service of commemoration will be held will be held on Tuesday 25th September 2018 at the Parish Church of St Cuthbert, Norham commencing at 10am. The anniversary of the day in 1915 on which Piper Laidlaw was awarded the VC. The service begins at the Norham war memorial and then moves to the graveside of Piper Daniel Laidlaw VC. Daniel Logan Laidlaw (1875-1950) was born at Little Swinton, near Berwick upon Tweed, Northumberland on 26th July 1875. His father was Robert Laidlaw, who was a cattleman, and later agricultural labourer and quarryman. Daniel’s mother was Margaret nee Logan, a field worker at the time of her marriage to Robert on 13th December 1867 at Swinton Mill, Northumberland. Daniel was one of eight children, with three brothers and four sisters. Daniel was educated at Berwick National and Lesbury Schools. He was a Boy Scout and became an apprentice miller. He enlisted in 2nd Durham Light Infantry on 11th April 1896 and served in India. He was claimed by his elder brother in June 1898 and transferred to the King’s Own Scottish Borderers as a Piper. He married Georgina Mary nee Harvie on 11th April 1906 at the Baptist Church, Alnwick, Northumberland, and they lived at East Kirk Newton, Northumberland. They went on to have five children: Andrew Robert (born 1906), John Hume (born 1909), Georgina (born 1912), Margaret (born 1913) and Victor Loos (born 1920). Daniel was discharged to the Reserve on 11th April 1912 and was engaged in various civilian employments, including canteen manager at Alnwick Co-operative Stores at Alexandria and as a groom at D and DH Porter’s horse breeding centre at South Doddington. He was also Assistant Scout Master of 1st Alnwick Troop. Daniel re-enlisted on 7th September 1914. He was described as 5ft 6in, 122lbs, hazel eyes, dark brown hair and a Presbyterian. Appointed acting Corporal on 26th September and went to France on 9th February 1915. He was found drunk in his billet on 19th February and reduced to Piper on 22nd February. 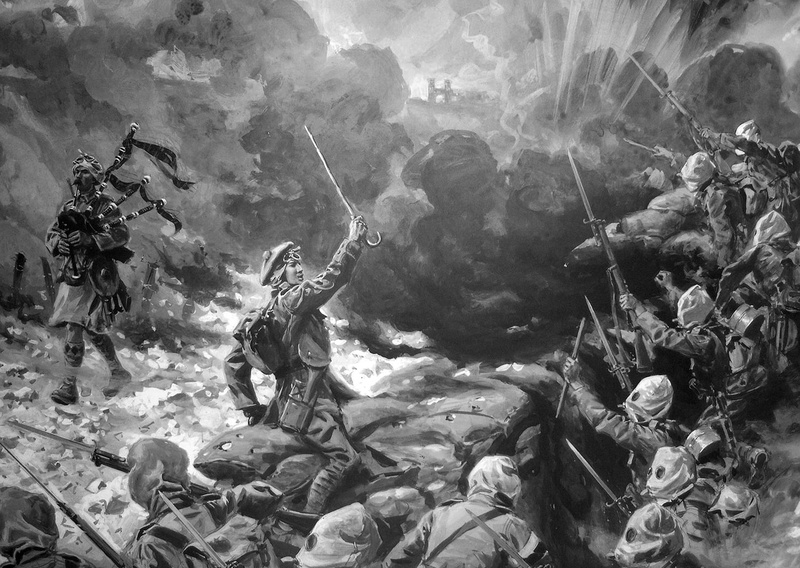 On 25th September 1915 during the Battle of Loos at Hill 70, prior to an assault on enemy trenches and during the worst of the bombardment, Piper Laidlaw, seeing that his company was shaken with the effects of gas, with complete disregard for danger, mounted the parapet and, marching up and down, played his company out of the trench. The effect of his splendid example was immediate and the company dashed to the assault. Piper Laidlaw continued playing his pipes even after he was wounded and until the position was won. He was also awarded the Croix de Guerre by France on 1st May 1917. He was evacuated to Britain and treated at Lord Derby’s Hospital, Warrington. While in hospital he was on the strength of the Depot from 2nd October and proceeded on sick leave. He transferred to 9th (Reserve) Battalion at Catterick and later at Kinghorn on 19th January 1916. The VC was presented by King George V at Buckingham Palace on 3rd February. He was promoted to Corporal 16th June 1916 and then Lance Sergeant on 17th October 1917. He then transferred to 3rd (Reserve) Battalion at Claremorris on 4th November 1918 and the Depot on 11th November. He was demobbed in April 1919 and transferred to the Class Z Reserve on 30th April. 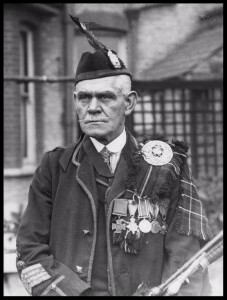 He was a member of the VC Guard at the interment of the Unknown Warrior on 11th November 1920 at Westminster Abbey, during which he played the pipes. He spent many years moving to find work in industry or on the land around Berwickshire, Northumberland and Durham. He was out of work for eight years following the slump in the shipyards. Daniel played himself, “The Piper of Loos”, in the films, “The Guns of Loos” 1928 and “Forgotten Men” 1934. He was also interviewed on one of the earliest TV programmes. He tried chicken farming to escape unemployment and became sub-postmaster in Shoresdean, near Berwick, in 1938. He died at Shoresdean on 2nd June 1950 and was buried in an unmarked grave at Norham Churchyard, Northumberland. 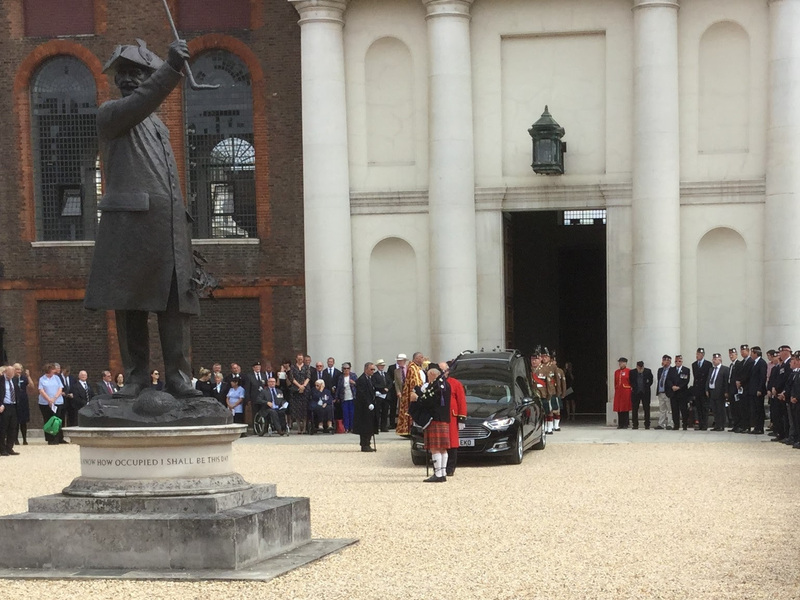 Among the mourners was Mr AG Lindsay Young, brother of Daniel’s platoon commander at Loos. Daniel believed that the Army would provide a headstone. 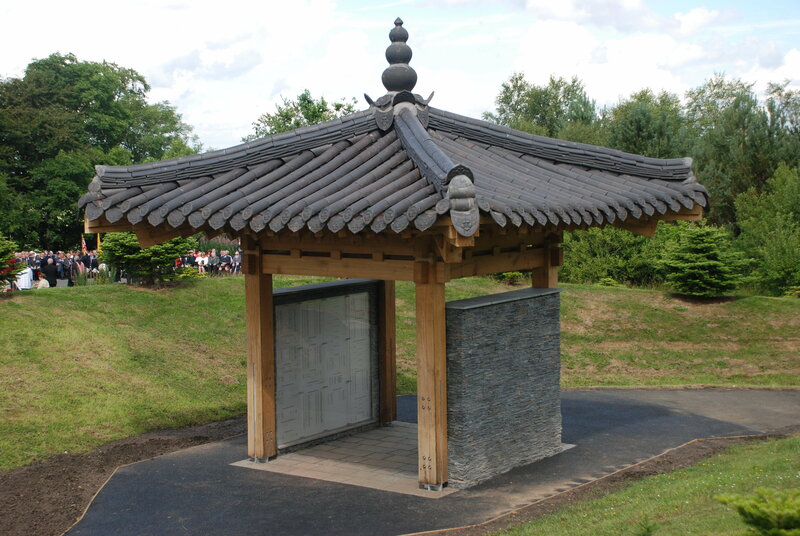 A headstone was finally dedicated on 2nd June 2001. In addition to the VC, he was awarded the 1914-15 Star, British War Medal 1914-20, Victory Medal 1914-19 with Mentioned in Dispatches oak leaf, George VI Coronation Medal 1937, Defence Medal 1939-45 and French Croix de Guerre with Bronze Palm. 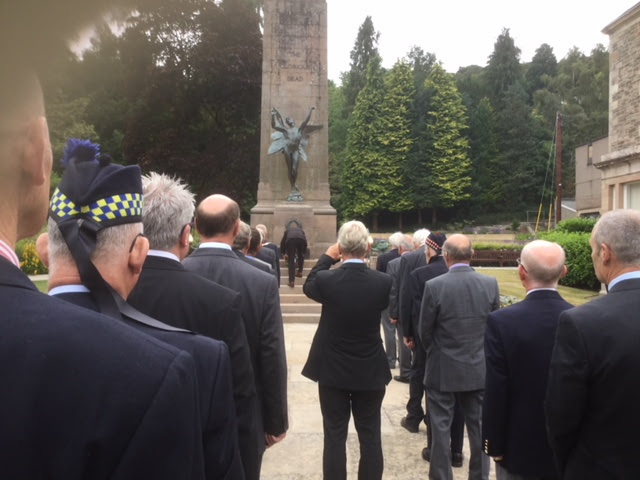 His VC is held by the National War Museum of Scotland, Edinburgh Castle, having been presented by his son Victor, and grandson on the field of the Battle of Loos on 25th September 2005.